All you have to know about Ionic Framework, the best tips and free code examples so you can get the most out of Ionic Framework. How to add skeleton screens to your Ionic app? UI Skeletons, Ghost Elements, Shell Elements? They are all the same, and I bet you probably heard any of these concepts before. If you didn’t I’m sure you have seen this pattern in many of the apps you use daily. Think of Shell Elements as cool content placeholders that are shown where the content will eventually be once it becomes available. In this post, I will show you the importance of adopting the App Shell pattern in your Ionic apps and discuss how to implement it using Ionic 4 + Angular 7 and some advanced CSS techniques. In this guide, you will note that we will refer with different names to the same pattern: Skeleton Screens, App Shell, Ghost Animations. They are all the same, and all those names are valid. This post is part of the "Mastering Ionic 4" series which deep dives into Ionic 4 more advanced stuff. Don’t be afraid, if you are new to Ionic 4, I strongly recommend you to first read our previous introductory ionic 4 tutorial. At IonicThemes we are big fans of Learning by example, that’s why all our Ionic tutorials include complete and free code examples for you to reuse in your Ionic projects. We strive to create the best content for Ionic Framework, both tutorials and templates, to help the Ionic community succeed. You can download all the source code of this ionic 4 tutorial by clicking the GET THE CODE button from above. Also, we published an online demo of what we are going to build in this ionic skeleton and animations guide! We can help you create better apps with our detailed and professional starters, crafted with love and dedication. Please check them out and let us know if you have any questions or feedback. The following skeleton animations are part of our latest Ionic 4 Full Starter App. It’s an ionic 4 starter that you can use to jump start your app development and save yourself hundreds of hours of design and development. When building an app, you need to make sure that you are doing everything correctly from a technical perspective to ensure great performance. But another, often ignored, and highly important part of performance is called: perceived performance. Let me explain you the differences between Actual web Performance and User Perceived Performance. Those are all about optimizing the medium (bandwidth, requests, etc) and resources (images, fonts, files, etc) we develop with. They will help you achieve a website that loads at lighting speed. But that’s not enough, you want your site to feel fast besides being actually fast. Examining network timelines and PageSpeed scores is all well and good, but there’s a whole area of performance optimization that this technical stuff doesn’t cover. Perceived Performance is a measure of how quick a user thinks your site is, and that’s often more important than it’s true speed. Picture the perception of time as a continuum of different events, if users don’t see any new events regularly then they may perceive slowness. The trick to get around this is to create a mix of skeleton loading screens and animations that occupy their time. If you want to keep learning about user perceived performance, this post about user perception, and this one about our brain quirks of perception were very useful to me. Let’s face it, most of the time we can’t avoid having to wait for information. But we can make the wait feel shorter. By showing page elements incrementally and giving some indication of what’s going on, the user feels more comfortable. If we contrast this with the scenario of waiting until everything is loaded, the usability and user perceived performance improvements are stupendous. This is not something completely new, developers have been using spinners and progress bars ever since. But those approaches fall short, we must do better. Notice how the page with the app skeleton elements has several advantages that translate to a better UX. We don’t block the user from interacting with the app. It’s a continuous flow from the page transition, the animation while the content is being loaded, and finally when all the content is available. This progressive, non blocking flow from one state to the another makes the app feel faster and smoother without flashes and shocking transitions between loaders to fully loaded pages. Fortunately this cutting edge, advanced technique can be easily implemented with Angular and Ionic. An App Shell Architecture is useful for getting some initial HTML to the screen fast, typically the skeleton of your UI, but likely does not contain any real data. To achieve these goals we are gonna combine Angular Route Resolvers with some custom elements and some advanced CSS techniques. New to Angular Route Resolvers? Angular Route Resolves are a special kind of route guards. They enable us to pre-fetch data from the server before navigating to a route. This way, the data is ready the moment the route is activated. Routers, can go from being super easy to complex quite quickly. However, do not fear: we have put together a great guide going over routing in an Ionic/Angular app with some helpful tips. 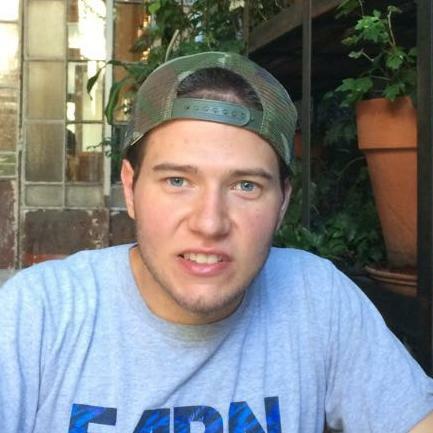 Let's suppose the backend is slow and takes 5 seconds to fetch data and return it to the client. The expected behavior for that scenario is that the page transition will be blocked for 5 seconds until the server sends data back to the client. A minimal improvement would be to show a ionic loading spinner while the Resolver Observable completes. I like the Promise approach as it’s more straightforward, you end up resolving an instant promise for the base Observable. To complete this ionic 4 router resolvers implementation, it would be handy to have a solution that enable us to resolve a shell model while we wait, and then the real data when it’s available from the backend. This solution should also allow our stream of data to be cached and pushed. We won’t cover the details of this mechanism in this ionic 4 tutorial as we have already done so in previous posts. To learn more about app routing and navigation using Ionic 4 and Angular 7, follow this detailed routing tutorial. Remember you can use the Ionic 4 demo app we built for this tutorial to try these examples by yourself. Also you can download all the source code of this ionic app by clicking the Get the code button from the beginning of the page. Now that we found a non-blocking approach to use in our Angular Route Resolvers for our Ionic Framework apps, we need to find a solution to present and transition between the skeleton pages (loading state) and the page layout (loaded state). There are two types of shell elements: Shell Overlays (use different components to render either the shell DOM and real DOM) and Inline Shells (reuse the same DOM elements to show either shell or real DOM with business data). This is a straightforward approach. We define both skeleton and view layouts and switch/animate the transition between them when page data is available. It’s easier to animate a shell layout that’s decoupled from the main view layout. We end up having many duplicate code, both for the layout and styles. This makes our app harder to maintain. This type of shells use the same layout (DOM elements) to present the loading state using the shell model and the real data once it’s available. The idea behind these shell elements is to show a loading state when the element is binded to an empty/null object and then progressively transition the loading state once the binded object has the real data. It’s almost a CSS only solution. By combining this technique with non blocking Angular Resolvers, we will be able to immediately present a shell model while fetching the real data asynchronously. Finally when real data is available, we just need to animate the transition between the loading screens and loaded states. It’s much easier to mold and style the shell representation of our view data as they share the same layout. Using this type of shells introduce minimal friction to the view layout as it doesn’t add meaningless, redundant, specific skeleton ui layouts. As they share the same layout, depending on the use case, there may be challenges to animate transitions between real vs shell renderings. If you need help adding the Skeleton screens and login to your Ionic app, I suggest you to take a look at Ionic 4 Starter App. It will save you LOTS of development and design time. 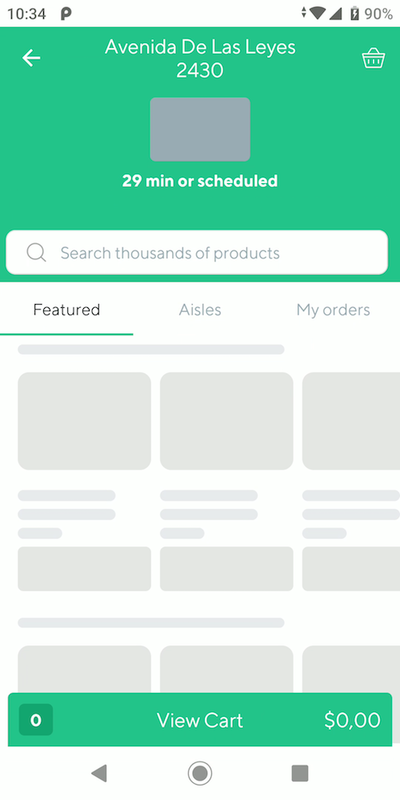 It has different types of customizable skeleton layouts that you can reuse in your apps. After analyzing multiple use cases, I realized most UIs can be deconstructed into two data bindable element primitives: text and images. Let’s see how easily we can implement both image-shell and text-shell components with Ionic Framework to build UIs that progressively translate from the ghost loading state to the final state displaying real data. 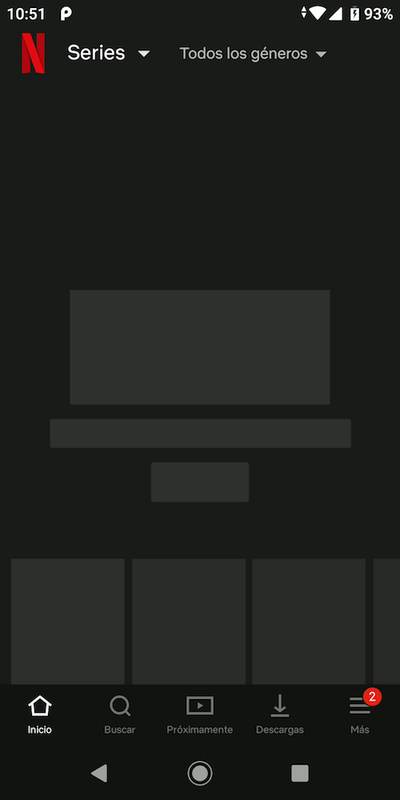 This is a simple Ionic component that will enable us to load images with an elegant skeleton loading layout. It basically works by showing a loading indicator while fetching an image source. 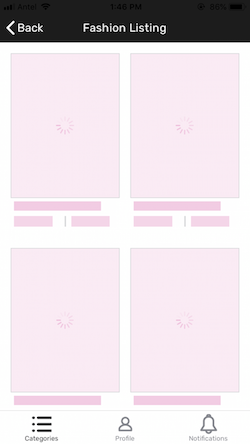 By listening to the (load) event attached to the <img/> element, once the image has loaded, we hide the spinner. This ionic 4 component works by wrapping the text node with a skeleton loading indicator while fetching data. 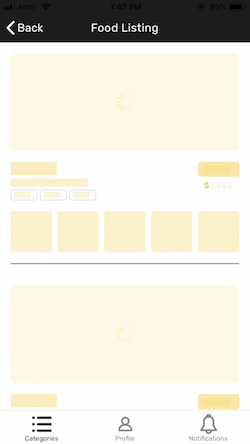 While there are empty values the component adds some loading styles and animations. Whereas when there are non-empty values, the loading state is removed. There’s no rocket science here, if the value is not empty, we add a text-loaded class and some fancy CSS to style and animate accordingly. This component can be used alone or wrapped with a text element (h1, h2, h3, p, span, etc). I have to admit that I’m really into micro interactions. That’s why I invested quite some time exploring different animation approaches for the text-shell component. From the beginning I challenge myself to use just CSS and avoid adding new DOM elements to the mix (that would be much easier but will eventually end up producing a bloated layout full of meaningless DOM elements). Inspired by how the Facebook content placeholder works, I figured out I could achieve the same result without the many tiny DOM element masks. This ghost animation works by setting a background gradient beneath some mask elements. 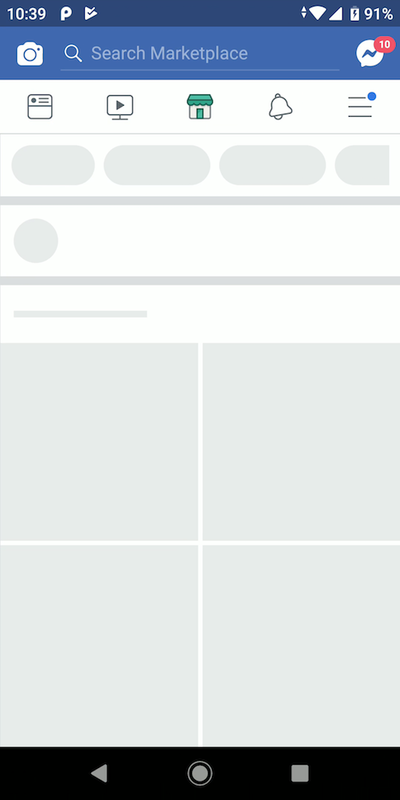 This is how the facebook skeleton content placeholder layout looks like. They add a full background animation using a gradient. And on top of that background animation, they add white masks. The solution I came out with, uses multiple linear-gradients to compose the background-image property of the element. 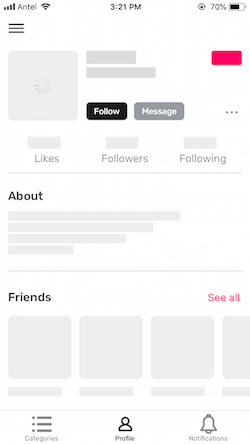 By adjusting the position and size using multiple background-position and background-size values, we achieve the same result as the facebook skeleton loading styling but using just CSS. Note: I found this post on adding many gradients to the background-image property very useful. Also I created this sass code to help me out while I was wrapping this multi gradient technique into a Sass mixin. We can go a step further and add an animation to the background just like the Facebook loading animation example. To deal with the background animation, we used two pseudo elements ::before to handle the animation that goes beneath the masks and ::after to handle the multi-gradient background containing the masks. Note: This solution doesn’t play well if you require the text-shell to have a transparent background as the masks need a solid color to work properly. As we mentioned above, the issue with the previous approach is that it depends on a solid mask color and that doesn’t play well if your use case requires transparent backgrounds. That got me into thinking alternative ways to tackle the ghost animation. This animation works by animating the background-size property to achieve a bouncing effect. Note: As we don’t use masks, this approach works well with use cases that require transparent backgrounds. Note: The approaches, Sass mixins, and implementations we followed in the previous examples were the very first versions of the text and image shell components. We have evolved and polished those components to a production ready state in our most recent Ionic 4 Full Starter App template. Check out the template’s live preview to see the shell solution we recommend for production apps. As we discussed in this ionic framework tutorial, perceived performance is commonly overseen, but these tiny bits of usability can drastically improve your app’s performance, usability, and user experience. Have a look at the ionic 4 demo app we put together which wraps all the examples and techniques we covered in this skeleton loading ionic 4 tutorial. Ionic 4 brings a lot of new possibilities and improvements, and at IonicThemes we want to help you getting the most out of this powerful framework. We are constantly creating new tutorials and guides about ionic 4 features so if you want to learn about a specific topic please leave a comment below with your suggestions. As you’ve seen in this ionic 4 app shell tutorial, creating shell or skeleton screens with Ionic and Angular is straightforward. What are you waiting for? Add app shell screens to your Ionic application today! Enjoyed reading this Ionic Tutorial? Subscribe to keep learning Ionic Framework! 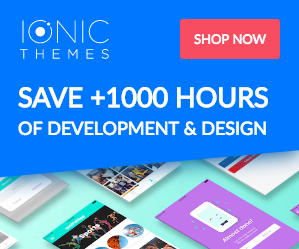 You will receive offers, new ionic tutorials and free code examples from IonicThemes. Watch these videos and start building your Ionic apps now! Liked this Ionic Tutorial? Leave your comments below. Sign up to receive offers and ionic free code examples!